Discover Inverness with your someone special. We’ve put our heads together & have come up with a few suggestions for your escape! Make sure you stay at the Best Western Inverness Palace Hotel & Spa, opposite Inverness Castle, on the banks of the River Ness only a few minutes stroll to the heart of the vibrant capital of the Highlands. This family run hotel is ideally located for your getaway with its own “unique-ness”. 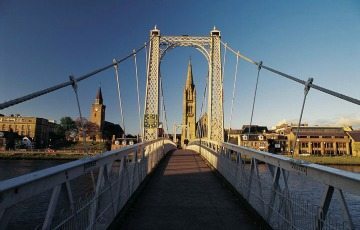 Inverness has lots to offer, shops, art galleries, cafes and restaurants. Book your luxury River & Castle view room at the Palace and wake each morning to a wonderful view! Read on for lots of suggestions on where to visit when you discover Inverness with your someone special! Stay at the Best Western Inverness Palace Hotel & Spa and enjoy your buffet breakfast with a view of the Castle. Our top tip to start your day, get your steps in and burn some of those breakfast calories is a trip to Inverness Castle. Inverness Castle was built in 1836, on the edge of the cliff, the site of an 11th century defensive structure. Today this fabulous building houses the Inverness Sheriff Court which isn’t open to the public. However you can enjoy the New Inverness Castle Viewing Platform. The North Tower of the historic Inverness Castle is now a new visitor’s attraction with a brand new Inverness Castle Viewing Platform. You are able to get a fantastic view up and down the River Ness and the surrounding town and hills. Whilst you are in the city then make sure you include a visit to the Inverness Museum & Art Gallery. The museum is a great place to learn about Scottish history and features an exhibition on life in the Highlands. Snuggle up on the Hop On Hop Off Sightseeing Inverness Bus Tour and explore the city of Inverness. With your 24 hour pass, see the best of the ancient city of Inverness on board an open top double decker bus. There are 13 stops for you to enjoy, plus a narrated audio tour all that remains for you to decide is in our outside seating! Inverness has lots to offer the visitor. Those who enjoy shopping may like to see the Indoor Victorian Market for a unique selection of shops, Inverness Botanic Gardens aka Inverness Floral Hall and café, Unique Leakeys second hand bookshop has over 100,000 books, the Highland Bottle shop established in 2013 has a fabulous collection of small batch spirits, unique malt whisky and craft beers which make the perfect present to take home & share. For those who would like to learn more about the kilt making process Inverness is spoilt for choice with Highland House of Fraser or Chisholms Highlands Dress. A few tips to make the most of your bus trip. Fort George,is the mightiest artillery fortification in Britain and it is still in use today. The majority of the grounds are open to the public. Following the 1746 defeat at Culloden, King George 11 created the ultimate defence against further Jacobite unrest and the result was Fort George. The garrison buildings contain a superb collection of military equipment providing a fascinating insight into 18thCentury military life. Urquhart Castle, magnificently situated on the banks of Loch Ness, the castle remains an impressive stronghold despite its ruinous state. Urquhart was once one of Scotland’s largest castles. Its remains include a tower house – the most recent building on the site – that commands splendid views of the famous loch and Great Glen. 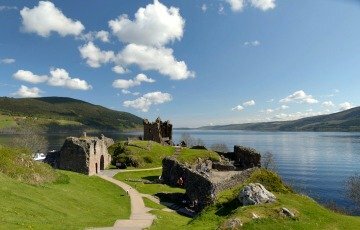 Urquhart Castle witnessed considerable conflict throughout its 500 years as a medieval fortress and its history from the 1200s to the 1600s was particularly bloody. The castle’s history is told in the exhibition and audio-visual display in the new visitor centre. 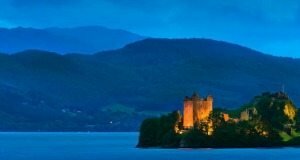 Urquhart Castle has captured many peoples imagination and their hearts, its iconic outline and stunning position make into the list of romantic spots to snuggle up and take in the view. Our Sales manager loves it so much that she got married at Urquhart Castle. Chanonry Point The waters around the Moray coast attract a huge variety of Sea-life not easily spotted elsewhere in the country. If you want to have your feet on dry land then take a trip to Chanonry Point. Not only is it a local beauty spot with a fantastic light house as your back drop, it is also a busy channel for wildlife. People come from all over to spot Porpoises, Dolphins and Seals and occasionally whales. Dolphins are resident in this area approximately 130 Bottlenose Dolohins living in the Moray Firth. In Spring Summer they are hunting for migrating Salmon. Try and visit at low tide, about an hour after low tide. You will have 2 good opportunities per day to spot one of these magnificent creatures. Sometimes you may be lucky and see Minke Wales or Orca (Killer Wales). Pack a picnic and you can see some amazing sea-life from the comfort of the beach. If you prefer a more adventurous approach and would like to get closer to the sea-life, then book one of the many tours that operate in this area. See Phoenix Boat Trips. Highlights of a trip to Chanonry Point, on a sunny day the view is wow, however on a stormy day the sea can be magnificent. 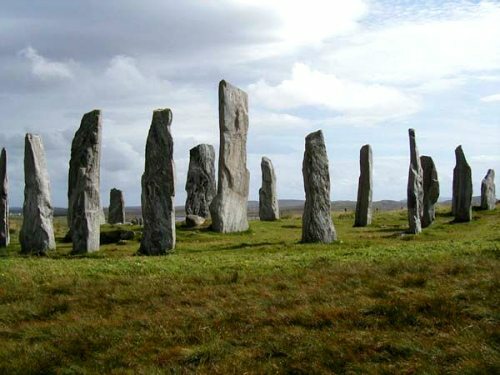 It’s only a short drive from Inverness it is worth the visit, plus you can snuggle up whilst hiding from the wind. Inverness is lucky to have so many historic sites on its doorstep. 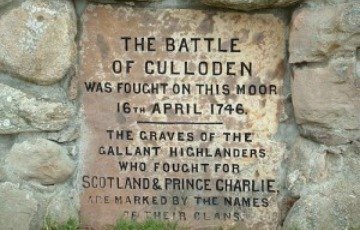 Visit the Clava Cairns, not only an ancient site but one of the key locations of the Outlander series. Clava cairns is a prehistoric burial site however some people find that haunting eeriness romantic. Perhaps it is the connection to a time passed long ago. Our lovely Laura also suggests Tomachurich Cemetery, I know I can hear you now a cemetery! However Laura assures us that its worthwhile to walk up the hill and take in the views over Inverness. Perhaps you can pick your joint plot as you leave! Make sure that you See our explore page, which has lots of days out, castles etc. The scenery is legendary, people are friendly and there are many romantic spots just waiting for you. After a busy day of exploring castles, scouring Loch Ness or roaming the battlefield it is time to take an afternoon stroll along the River Ness towards Eden Court. It is beautiful no matter the season! Enjoy walking past the grand Victorian homes along the river underneath magnificent trees scattering their leaves. You are sure to spot a Heron fishing for his supper. Keep walking and you will eventually reach the Ness Islands. You can hop across these little gems, spot more wildlife, these little islands are a place where you can forget that you are in a city. Make sure that you take a stroll in the evening as not only are the trees beautifully lit, but the lighting of the bridge is unique and the with the castle in the background it is something special. Discover Inverness and the Highlands with your someone special. The summer sunshine beckons or perhaps see the Highlands stunning Autumn colours. 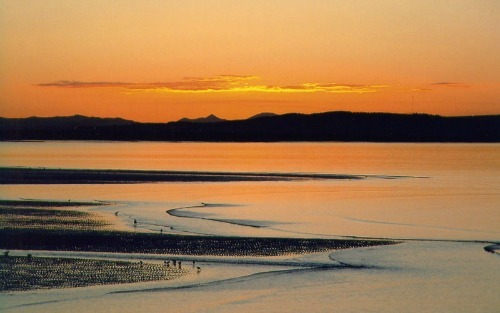 Book your getaway to the Highlands with a stay at the Best Western Inverness Palace Hotel & Spa. Look forward to a warm welcome, we are ideally located on the banks of the River Ness, opposite the castle. Book your Hot summer Mini Break or Summer Escape alternatively your Autumn Escape. Make sure to dine and sip your favourite tipple in the NEW Brasserie and Bar. Enjoy car parking, free Wi-Fi and don’t forget the lovely leisure club. Remember #bookdirect for your best offers. Call our reservations team on 01463 22 32 43 or email us at Palace. We look forward to welcoming you soon! Add a little magic to your romantic getaway and book a Luxury Castle and River View Room. Wake up each morning to a fabulous view and enjoy the beautifully lit Inverness Castle and the Bridge as you draw your curtains in the evening. If you want to organise any extra touches perhaps chilled Prosecco in your room or chocolates on your pillow just let us know and we will be happy to help. All of our guests enjoy free access to our Luxury Leisure club. If you simply want to relax in the warmth then take a dip in the pool, enjoy the bubbles of the Jacuzzi and perhaps treat your special someone to a treatment in the Spa.